This book is a backstage pass to the ups, downs, and all-out craziness of arena rock—deep discussions with Rod Stewart, jamming with legends like Mick Jagger and Justin Timberlake, gaining groupies, and striking out solo. Stevie Salas was one of many boys coming of age in the 1980s—when the American dream was rock superstardom. As lead guitarist for a San Diego band, Salas played backyard parties and school dances and even scored the music for the cult classic Bill & Ted’s Excellent Adventure. When he auditioned for Rod Stewart—where he was the youngest band member by a decade—Salas’s life truly hit a turning point. 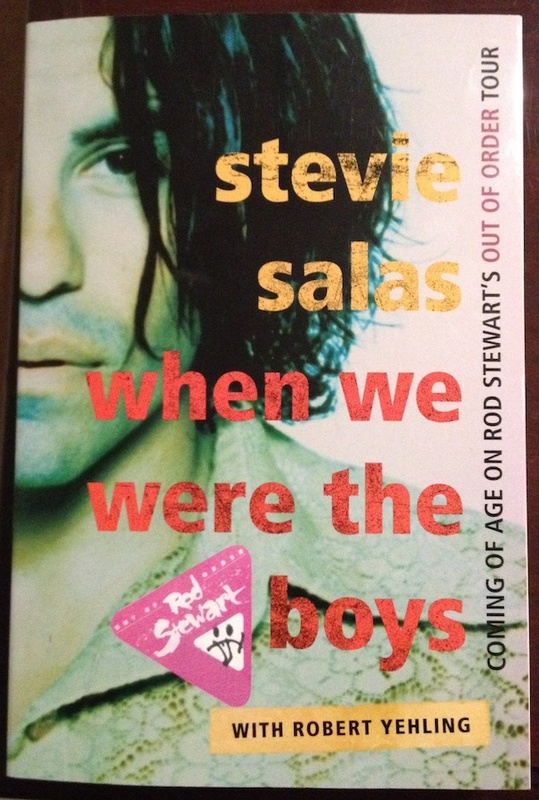 Salas pulls no punches to describe the initial skepticism and hazing he faced as the youngest member of Stewart’s band, the night he stood up for himself on the tour plane, and the emotional late-night talk with Rod Stewart that restored the frontman’s faith in his young, untested guitar player and his new group that was struggling to find its groove. Yet they became a band of brothers and formed a camaraderie they share to this day. When We Were the Boys revolves around the year Salas began as an inexperienced musical prodigy and finished as a seasoned rock ’n’ roll veteran—more mature as a man and musician.